Posted on April 29, 2013	by Derek "Gamer Crash"
I wouldn’t blame you if you completely forgot about the first person shooter XCOM that BioShock 2 developer, 2K Marin had been working on and first showed off back in 2011. I also would blame you if you thought that game had turned into XCOM: Enemy Unknown last year. After a long hiatus and being inspired by the success of the Firaxis developed XCOM: Enemy Unknown, 2K Marin has gone back to the drawing board for their shooter and reemerged with The Bureau. Breaking out of limbo, the game has been rebranded and given new purpose to stand with Enemy Unknown rather than stand separately. The Bureau: XCOM Declassified now serves as a prequel story to the excellent turn based combat seen in Firaxis’ revival. The Bureau takes place in the 1960s during President Kennedy’s term and details the origin story of the agency that eventually becomes the modern XCOM Initiative. Initially created to repel Soviet invasions and infiltration, the agency soon discovers that extraterrestrials are among us, and quickly shift focus to identify and eliminate the threat to protect the general public. So what’s new from what we saw a few years ago? If you remember, when it was first shown, XCOM was a first person shooter. It’s second phase then added in tactical elements with special abilities being used. Now, in 2013, the game has been pulled back into a third person squad based tactical shooter. Taking up the fedora of William Carter, players will lead a team of agents into the field against the alien threat. You team is completely customizable, acting as more of a blank slate that you can create. Don’t expect a Call of Duty type Rambo shooter though as the team at 2K Marin are looking to create a smart, tactical shooter in the vein of Full Spectrum Warrior mixed with Rainbow Six. I’m intrigued by this. Frankly, as someone who loved the recent XCOM: Enemy Unknown, I’ll give The Bureau the benefit of the doubt if only for the added opportunity to dive back into that world. 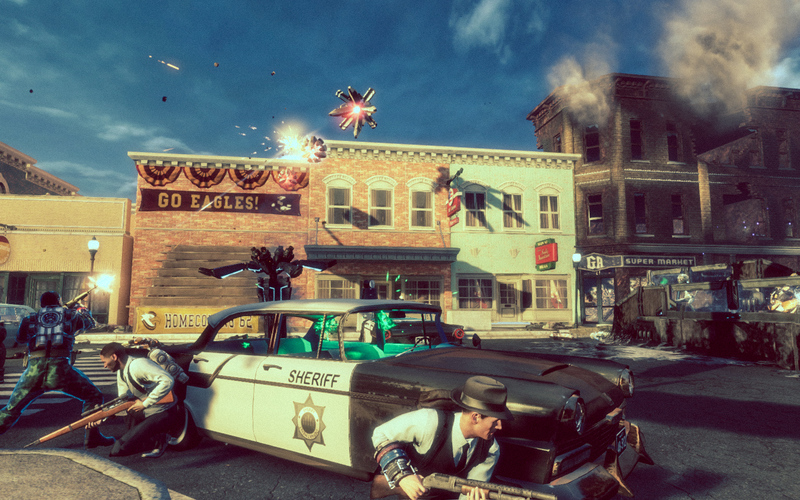 The Bureau is scheduled to hit PC, Playstation 3, and Xbox 360 on August 20, for full retail price.